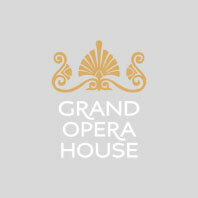 The Grand Opera House Summer Youth Project returns in July 2019 for its ninth year with not just one but two unmissable productions – Miss Saigon® School Edition (for 16-18 year olds) and Bugsy Malone (for 10-18 year olds). Based on the 1976 film Bugsy Malone this gangster, comedy musical, tells the story of two gangs who are in a rivalry of Capone-ian standards. Dandy Dan’s gang has gotten the upper hand since acquiring the ‘splurge’ gun and Bugsy Malone, a one-time boxer, is thrust into the limelight when he becomes the last chance Fat Sam’s gang has of surviving. All Bugsy really wants to do is spend time with his new love, Blousey, and help her become a star, but that just isn’t on the cards for our hero. In a final, splurge gun and custard pie showdown, one hundred of Northern Ireland’s most talented young people will ensure that this production is a sure-fire family treat! There’s room for everybody to come join the fun at Fat Sam’s Grand Slam! £24.25 - £15.75	Prices include maximum applicable per ticket booking fee.